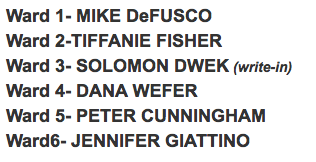 According to another report broken earlier today by Grafix Avenger, the lid blown off Vote-by-Mail collected at 400 First Street with Hudson County Board of Election investigators has led to blow back and an odd but telling response from council candidate Ruben Ramos. The report in part highlights action urged by Vote-by-Mail voters who may see their vote thrown out for unstated reasons. 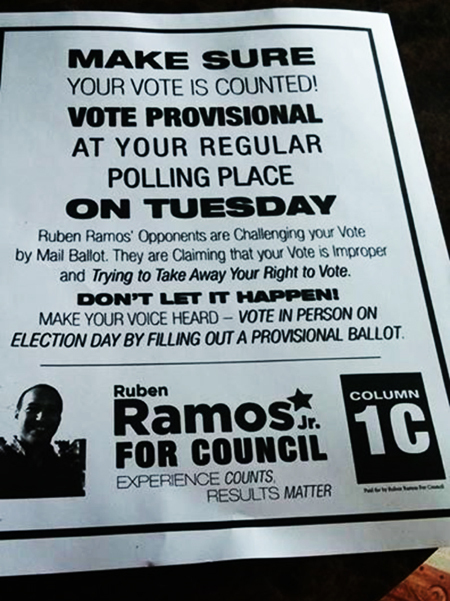 How does the Ruben Ramos campaign know about all these problematic Vote-by-Mail voters, it's coming out in the Old Guard dirty wash so they are forced to issue a flyer? Is the advice being offered by the Ruben Ramos campaign even legal? Tom Kluepfel, Sheillah Dallara and Addys Velez.